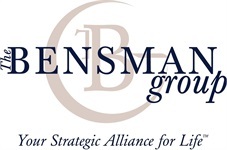 Mike has been an advisor with The Bensman Group since 2002. Prior to joining The Bensman Group, he was a Regional Sales Representative for two nationally recognized employee benefit insurance carriers. Mike provides independent financial and corporate/executive benefit strategies for retirees, corporate professionals and executives along with business owners. His hands-on approach with clients strives to address their key issues and needs in the areas of risk management, asset accumulation and distribution planning. Mike focuses his energies with those individuals who value exceptional service, appreciate the importance of an independent professional and desire a long-term relationship with their representative. 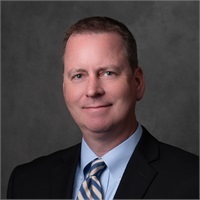 His experience with case design and the underwriting process, coupled with his 15+ years experience in the group/executive benefits and individual planning arena, helps provide his clients an added advantage when presenting customized solutions. Mike earned his B.A. degree from Western Michigan University in Finance and Commercial Law. Mike holds Investment Company Products/Variable Contracts Limited Representative (Series 6), and Uniform Securities Agent State Law (Series 63). Originally from the Greater Detroit area, Mike and his wife currently reside in Deerfield, Illinois. Personal interests include family, travel, golf and basketball and (most importantly) hockey. Go Wings!